Figure 1. 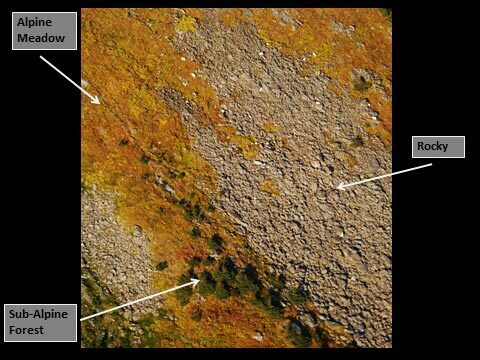 Aerial observations of mountain goats can be challenging when animals occur in rugged terrain where small outcrops, ravines and caves can obscure clear views. Estimating mountain goat population size is critical for population management and conservation but is logistically difficult. 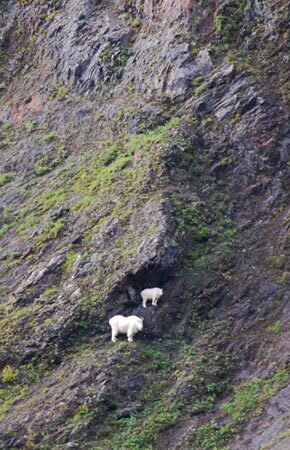 In Alaska, mountain goats are typically enumerated during fixed-wing aerial surveys (i.e. 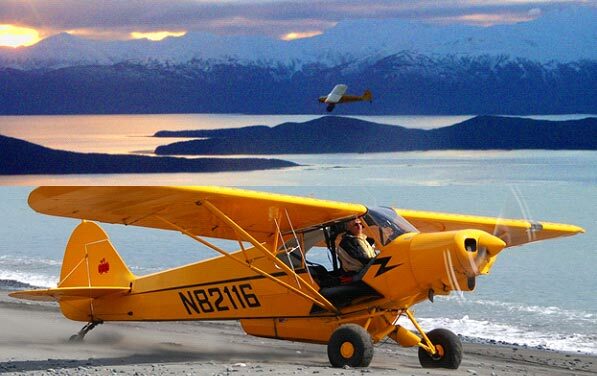 Piper supercub) in late-summer or early-fall when temperatures are cool but before snowfall. Because of the rugged mountain terrain and challenging flying conditions it is impossible for aerial observers to see every animal during a given survey. Consequently, it is critical for biologists to estimate the proportion of the animals in a population that were actually seen during a survey in order to accurately determine the actual number of animals in a population. If such information is not available, biologists may not have accurate estimates of population size and may be over- or under-estimating population size resulting in suboptimal determination of harvest quotas or conservation strategies. 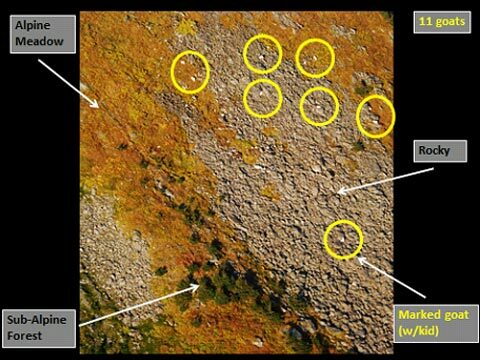 In order to address this challenge, research has been initiated to gather data from radio-marked mountain goats during routine aerial surveys in order to estimate “sighting probabilities” of mountain goats during aerial surveys under various conditions. This work involves collecting detailed information about factors believed to alter the ability of observers to detect mountain goats during aerial surveys such as habitat type, terrain ruggedness, group size, sky conditions, time of day and ambient temperature. These data are then incorporated into statistical models that can then allow biologists to adjust routine aerial survey data, based on survey conditions, and derive more accurate estimates of population size and, over time, population trends. This research effort should enable biologists to manage populations with a greater level of precision. White, K. S. and G. W. Pendleton. 2012. Mountain goat population monitoring and survey technique development. Research progress report. Alaska Department of Fish and Game, Juneau, AK. Figure 2. Piper supercub aircraft used to conduct mountain goat aerial surveys. Figure 3a. How many mountain goats? Figure 3b. Eleven mountain goats are visible in this picture. Mountain goats on the rocky terrain are more difficult to detect than those in the alpine meadow.